There is no “right” or “wrong” way to design a résumé, in my opinion, but most of us will use one of two general formats—reverse chronological or functional. The reverse-chronological format is most widely accepted, but from time-to-time some of us will be encouraged to use a “functional” format. Reverse-chronological résumés describe our careers starting with our most recent or current job, then moving back in time. Functional résumés group our accomplishments by job function. Some functional résumés list job histories in reverse chronological order, too, but de-emphasize it. The functional approach is appealing to many people because it seems logical to emphasize employment accomplishments, rather than reverse-chronological work history. The problem is that functional résumés are less widely accepted by employers. There Are Many Résumé Formats; Most Are a Matter of Preference. Résumé books and Web sites illustrate many résumé format variations. Nearly everyone has their own favorite, so most of us are very confused about what is “right” or “wrong.” In my opinion, very few are “wrong” because there are only a few things about résumés that nearly everyone agrees about. We all agree, for example, that a résumé should include our contact information, and information about our experience, education, and training. Almost everything else is open for discussion. 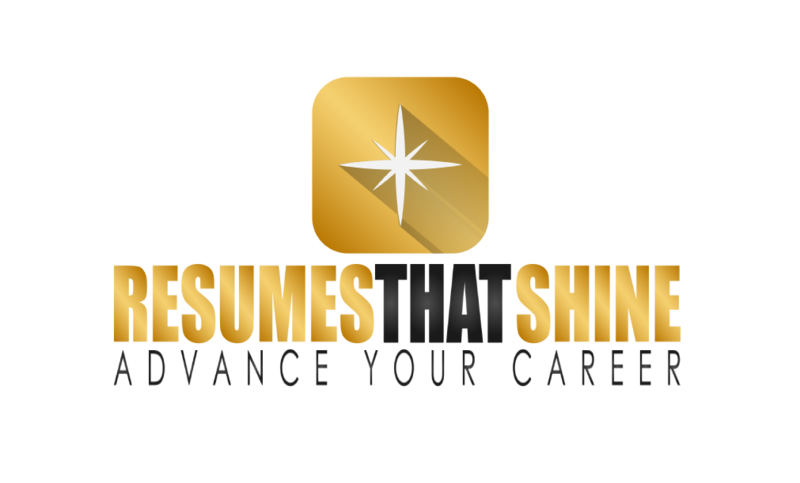 Many employment specialists and résumé writers will tell you that you will not get interviews or jobs unless you do your résumé their way. Fortunately, this usually is not true. I’ve seen job candidates with outstanding résumés that do not get interviews or jobs, and job candidates with résumés that I think are terrible, but that get an interview and a job right away. This happens because many variables determine employability, not just the résumé. There are two major organizations in the United States that promulgate “standards” for résumé writers—the National Résumé Writers’ Association, and the Professional Association of Résumé Writers and Career Coaches, but to the best of my knowledge there is no ANSI or ISO standard that applies to résumé writing. Recruiters, outplacement companies, Career One-stop centers and welfare-to-work programs often give their clients their own guidelines. Generally, I advise job-seekers that if an organization or recruiter wants you to submit your résumé in a certain format, do a special résumé for them if you do not agree with their preferences. The only thing I do not recommend allowing others to change are the facts of your career. Do not agree to “date shift,” for example—move a job you had from 2000-2003 to 2007-2010. Do not add things you did not do at the job. There is a good chance you will be caught. You will be held accountable, not the career center staff. Nonetheless, you will be expected to provide a résumé in either a reverse chronological or functional format most of the time. Most of us will get the best results, in my opinion, with the reverse-chronological format, but you should be aware of the functional option. Employers Prefer the “Traditional” Reverse-Chronological Format. Potential employers and major job posting sites prefer the reverse-chronological résumé format shown here. It is called reverse-chronological because your work history is displayed from current or most recent job down to the oldest job you include in your work history. Details about your employment are included directly under the employer and job title headings. Hiring managers, recruiters and HR managers like this format because it preserves the link between your skills and experience and the specific jobs where you used those skills and gained your experience. Another major benefit of this format is that computer software, called applicant tracking systems or ATS software, can interpret this format. You may see, when you upload a reverse-chronological résumé to an online application, that the software “auto-populates” information from your résumé to the work history section of your application. The software will not do this accurately from a résumé in another format. It may be a simple matter of manually entering the data correctly if the ATS gets it wrong, or leaves the application blank, but the system may not have a feature that shows how it is reading your résumé. So, it behooves you, in my opinion, to organize your résumé in a reverse-chronological format ATS software will interpret correctly. Functional Formats Have Some Advantages but Are Usually not Recommended. The so-called functional résumé, shown here, is still a popular format, but employers and recruiters dislike it. Functional résumés, as shown in the example, group your job accomplishments by function, rather than reverse chronologically under each job. The reverse chronological employment history is shown near the bottom of the résumé, if at all. There are two problems with this format. First, hiring managers and recruiters distrust functional résumés because they feel the candidate is hiding something, such as an employment gap. Second, ATS systems, experts have told me, cannot accurately process functional résumés. Some systems will show you how they are interpreting your résumé upload, but not all. Nonetheless, some job candidates and public employment programs prefer functional résumés. Career changers like them because the format allows the candidate to focus an employer’s attention on skills he or she used in a job five or ten years ago, but not in the current job. For example, if you were a cook for eight years, but that job ended five years ago, and have worked as a custodial maintenance worker since then, a functional format would let you feature your cooking experience up front. Career On-stop and welfare-to-work programs may encourage use of the functional format because their staff works with many career-changers and those with employment gaps. Sometimes program leadership feels it is easier to teach staff and clients to write résumés functionally. Consider reorganizing your functional résumé, if you have one, into a reverse-chronological résumé for use with ATS software. Experts say you are likely to get better results. Almost everyone has their own ideas about the correct format or organization for a résumé. The two most common ways to organize a résumé are reverse chronologically or functionally. The functional format is very appealing to career-changers and those with employment gaps because it allows one to lead with the most relevant job function instead of the most recent job. The problem is computer systems that scan résumés do not interpret this format correctly. Hiring managers feel job candidates are hiding an employment gap or other issue when they use the functional format. You will probably increase your chances of being selected for interview if you use the “traditional” reverse-chronological format employers and their computer software expect to see.